Triple 888 has been private since purchase. She is a great family cruising Yacht. Lots of volume and the biggest fly bridge in class. Ample crew area for a long season. Extremely Stable vessel under way and at anchor. 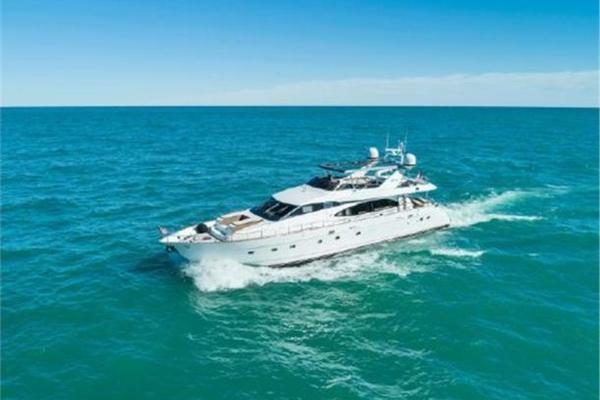 West Florida Yachts would love to guide you through a personal showing of this 95' Horizon ELEGANCE 97 RPH 2008. This yacht for sale is located in Sydney Australia and priced at $3,600,000. For a showing please contact us by filling out the form on this page and we will get back to you shortly! Main engine CAT services and Generator services by Dealers. Stabilizers pulled and new bearings replaced in December with anti foul at the same time.